Michael Christopher Moustakas, one of the famous professional baseball player is popularly named as Mike Moustakas who plays for Milwaukee Brewers of Major League Baseball. His nick name is "Moose". He is well known celebrity. He is famous for contribution in professional life. He bats position is Left and throws position is Right. Currently, he is playing in Milwaukee Brewers. He had played for Kankas City Royals. Passionate and enthusiastic player, Mike was born on 11th September, 1988. He was born and raised in Los Angeles,California city of United States of America. 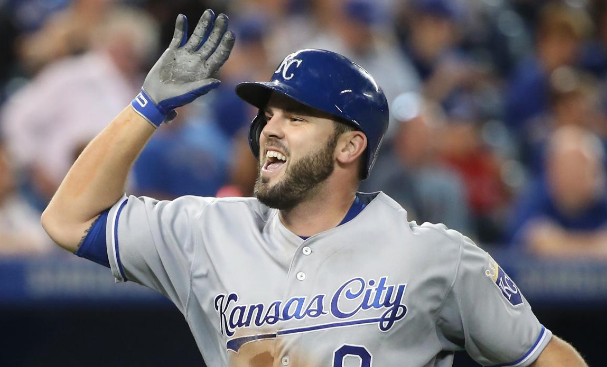 He is the son of Mike Moustakas and Connie Moustakas, his father and mother. His nationality is American. His astrological sign is Virgo. At the small age, he began his career with baseball. He attended Chatsworth High School in Chatsworth, Los Angeles. Mike has got a great personality. Talking about his body, his height is 1.83 m. His weight is of 95 Kg. He has balanced body with good health. He has attractive body figure. His smiling face and charming personality has helped him to gain the attention of all the viewers. Mike was voted as "Player of the year" by Cal-Hi Sports in his high school. In the year of 2006, he was a member of USA Baseball's Junior National Team, competing in the World Junior Championships in Cuba. He topped off his career by being named Baseball America 's High School Player of the Year in 2007. Moustakas was also selected to the USA Today All-USA high school baseball team in 2007. Later the Kansas City Royals selected him with the second overall pick of the 2007 amateur draft. and signed with this team on August 15, 2007. Moustakas was named the 2010 Texas League Player of the Year on August 30, 2010. He also sets an Omaha Royals record with three home runs and 11 RBIs in one game. Moustakas won the Joe Bauman Home Run Award for most home runs in minor league baseball, winning a tiebreaker against Mark Trumbo. On 9th June, 2011 Moustakas was made contract agreement by Kansas City and made this team debut against Los Angeles Angels of Anaheim. 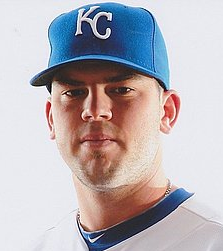 On 18th February, 2012 the Royals announced that they had signed Moustakas to a one year contract for the 2012 season. Then he sets a new club record for this team by playing 47 straight games without an error. In 2013, he batted .233 with a .287 on base percentage, 12 home runs, and 42 RBI and also led all American League third basemen with 16 errors. On 1st June, 2014 Moustakas was recalled from AAA. On 2015, he was selected to the 2015 All Star Game via the All Star Game Final Vote. On May 7th 2016, Moustakas was placed on the 15-day disabled list due to a fractured left thumb and later suffered a right knee injury. On July 6, 2017 he won the All Star Final Vote for the second time of his career, and participated in the Home Run Derby. On 28th July, 2018 he was traded to the Milwaukee Brewers. Mike is married man with Stephanie Moustakas in 2014. They seem to be very happy with each other. The couple makes public appearances together often. There is no any sign of Separation between them. They are living peacefully. They are blessed with two children; a daughter named Mila and a son named Michael. His net worth is kept in privacy but there is no doubt in the mind of his supporters and followers he is satisfied with his earning. He is receiving an annual salary of $5.6 million from his present club. Her exact net worth figure is still yet to get unfolded.